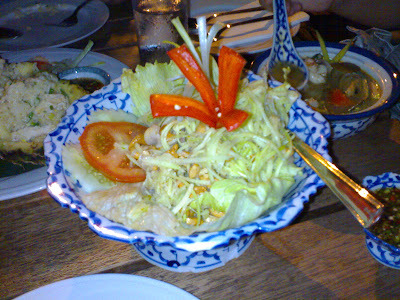 This is another post on thai food...hehe...still looking for good and spicy thai cuisine. Read about meiyen's post on Sri Thai yesterday, then only I recall that I took some pictures at Planter Jim's. I doubted whether this is a thai restaurant when I first stepped into Planter Jim's. You might have overlooked this restaurant and thought that it is another bistro in Bangsar. Aside from the traditional thai dishes, Planter Jim's also serves fusion food, ie western + thai. We started off with spicy seafood tomyam soup (RM 41). You can also choose your soup to be cooked with chicken or mushroom. 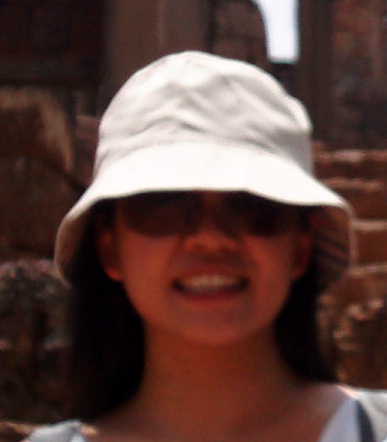 (Xiu Long Bao's tips:Add chilli padis to your tomyam soup to get the extra omphh). 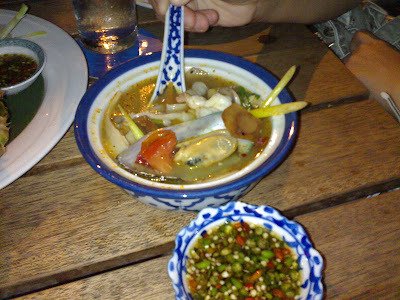 This is good, sour and spicy, with mussels ^_^, squids and prawns to munch on. But abit pricey for 3 servings/ bowls. 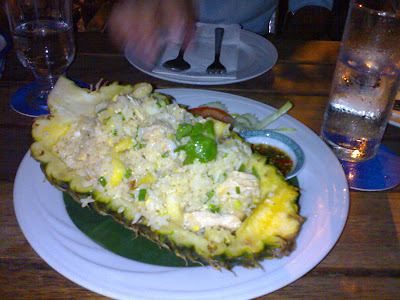 I ordered pineapple fried rice (RM 17) again but this is a rather dissapointing one. It is too oily (as seen in the picture). Sorry Planter Jim's, I have to say that Amarin's pineapple fried rice tastes better. 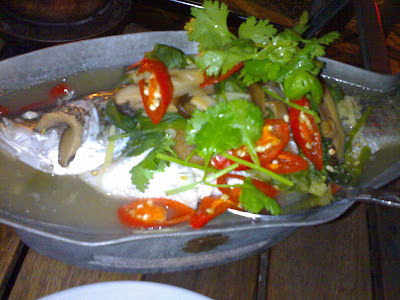 The last dish to come (while we were too full to speak) was this thai style steamed sea bass/siakap (RM45). Something like teochew steam but a spicy version of it (but still not spicy enough for me la). Lesson of the day: Do not eat durian before dinner. I was so full that I didn't get to try Planter Jim's thai desserts. The bill:RM 157 for 3 persons. Pricey for sure. A bowl of white rice costs RM3 and a cup of coffee costs RM7. LOCATION: 6, Jalan Telawi 2, Bangsar Baru, Kuala Lumpur. Yikes... pricey ! We haven't figured out a Thai place yet, but the eyelids staying open would be a challenge in the afternoon..
ckutu:yup...guess thai food is pricey in klang valley. heard of planter's, never thot of trying..after reading wat u wrote, dont think i'll ever try! kekekeke..
da tomyam gung a little bit too pricey but it looks quite good! wow!!! I'm eyeing on the steam fish!!! Arr..i want thai food!! sc: bandar manjalara? sounds quite far for me but hei... lemme noe if the food is really nice n cheap ! jackson: hehe...drooling leh. Ur turn to post on gud thai food ya! Never eaten there b4... only drank coffee... wakekekeke... Amarin RocKs! Ok no durians before food but rambutans can ! ya-ha:okay...luckily u didnt take d food!